Well Folks I’ve decided to embrace my gray/grey hair and the aging process. 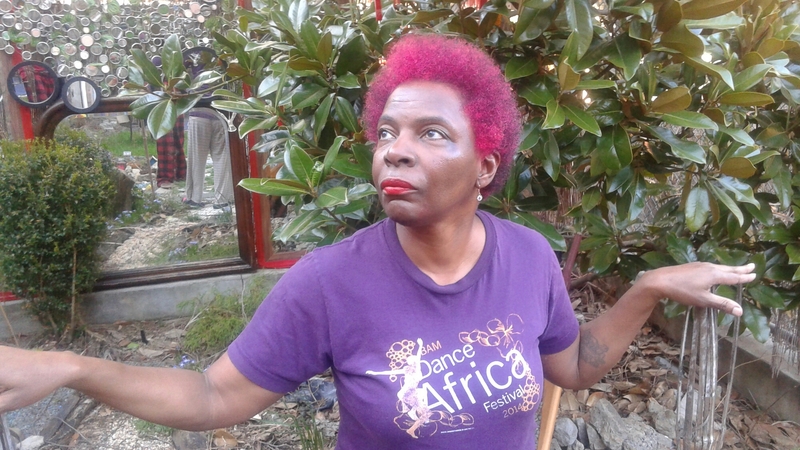 Yes I cut off all my hair very short something like the Warrior Women of Wakanda. 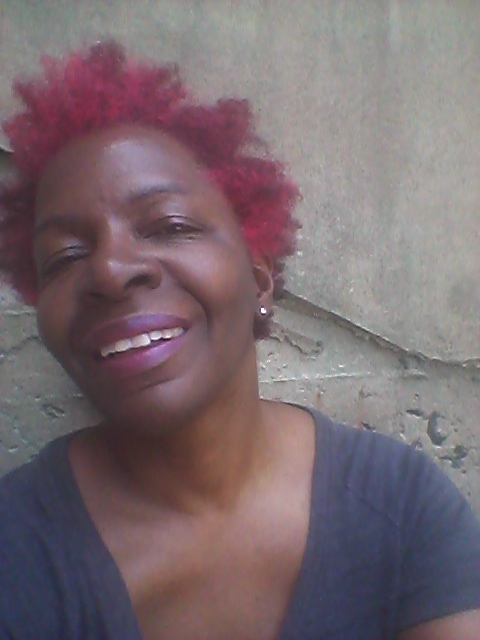 My hair has undergone the changes of menopause, aging, stress, illness and disability resulting in thinning and hair loss. Those women over 50 understand what I’m talking about. If you are not yet 50 don’t worry age will catch up to you. BTW, No I am not going to discuss my chronic illness and disabilities. That includes my vision loss. It is what it is. One does not have to look sick to be sick. I do not want people’s pity so I will not entertain questions about my health. I find those questions and comments annoying and upsetting therefore they will be deleted. Once you have a disability there are some days you might feel better but there is No get better. Being that I’ve been dealing with health issues for over ten years I’ve accepted, adapted and for the most part moved on. I will Not allow this blog to become a disease of the month club. My Relationship with God is #1, Then My Brother Stephen, after that my creativity as expressed through my writing, photography (Please check out my blog, Roaming Urban Gypsy) and my artwork. A Warrior Woman showcases her strengths not her weakness! Instead I’m focusing on what I can still do. My abilities. Not my disabilities. Mostly my photography and Mixed Media Picture/Photo Collage skills. I’m moving forward with my skills, talents, gifts and abilities. Thinking Positive from now on Not negative! 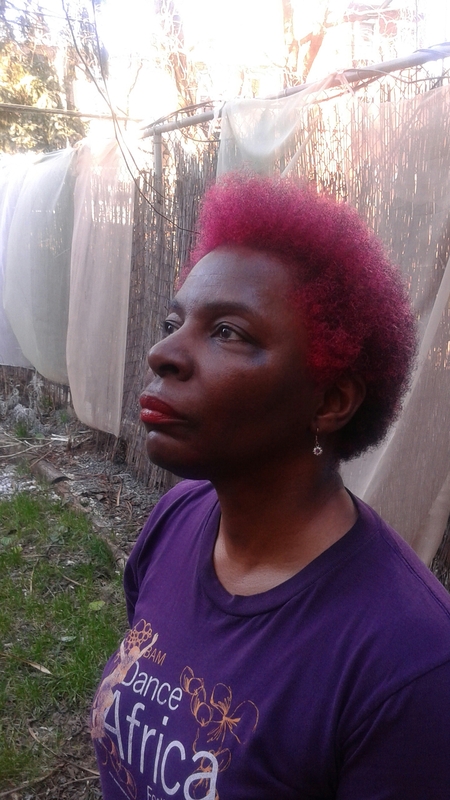 Here are photos of my new look and my artwork! Happy Dance! Fortunately I have access to the backyard so I did a grounding ritual. Really informal. Basically I just sat down in one of the chairs, put on some easy breezy music, took off my sandals and connected directly to Mother Earth. Gaia has healing properties so walking barefoot in the grass or placing your chair in a sunny grassy area and planting your bare feet to the earth helps stabilize you. The temps hit the 90s but the backyard is cooler thanks to the trees. My trusty bottled water is always by my side. Staying hydrated is essential. Sitting Sun Salutations are Fabulous! I also conditioned my hair at the same time. 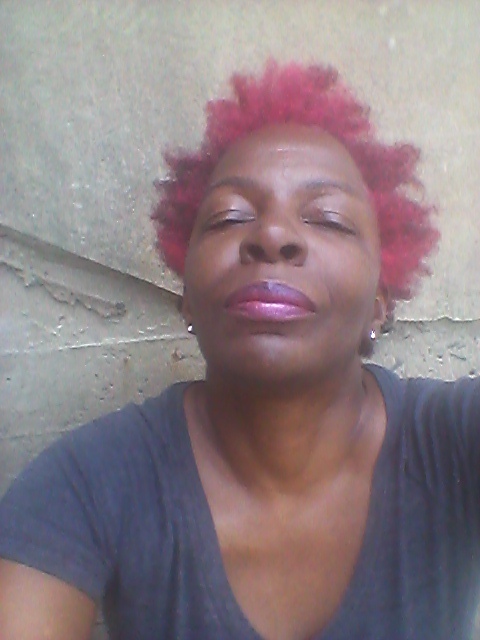 I applied the Red Palm Oil pictured below onto my hair and sat out in the Sun for a little over an hour. Red Palm Oil has an earthy woodsy, roasted, smokey, nutty scent. Know that Red Palm Oil stains so when you do your Red Oil Hair Conditioning and Facial a little goes a long way. It stains. I wash out the Red Palm Oil in the kitchen sink which is stainless steel. So unless you want your clothing, floors and bathroom basin to be a orangery red color have lots of towels and wash clothes on hand. 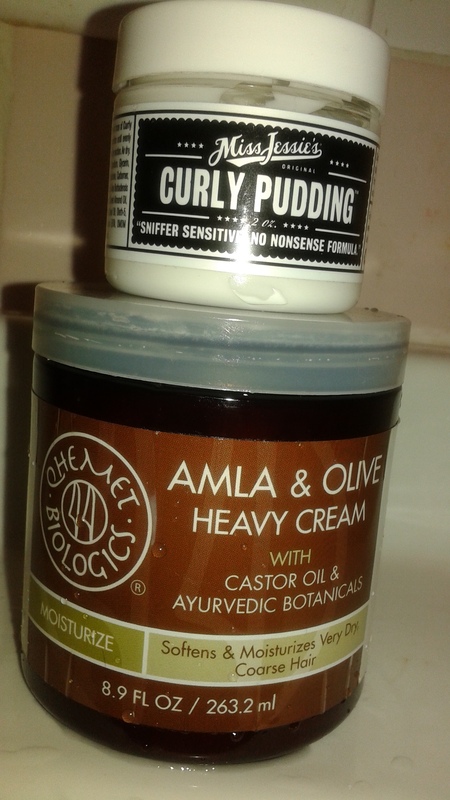 Being that it was over 90 degrees outside these are optimal conditions for the Red Palm Oil, Coconut Oil, Jojoba Oil and Shea Butter to penetrate, soften and moisturize my hair and scalp producing excellent and wonderful results. Since it was so hot outside I wound up taking at least four or five showers. Refreshing! Pampering myself is a good thing. Purchased Sage from the Botanica. Then burnt the sage going from the upper to the lower floors and out the door to purify and cleanse the house removing negative energies. How To Do A Red Palm Oil Hair Treatment (Red Palm Oil Benefits For Hair)! Red Palm Oil Superfood Oil Treatment For All Hair Types (Red palm Oil Benefits For Hair)! Here I am looking kinda crazy kooky! LOL!! A Celebration of Black Women. Black Culture and Black Hair in all its Glorious Forms and Textures!! Sisters and Brothers, Welcome to Radio Station W.E.B.B. Ladies and some Gentlemen from across the Diaspora to Celebrate the Beauty and Intelligence of Black Women. Representing Africa, America, and the Caribbean. A salute to All Shades of Black and All African textures! 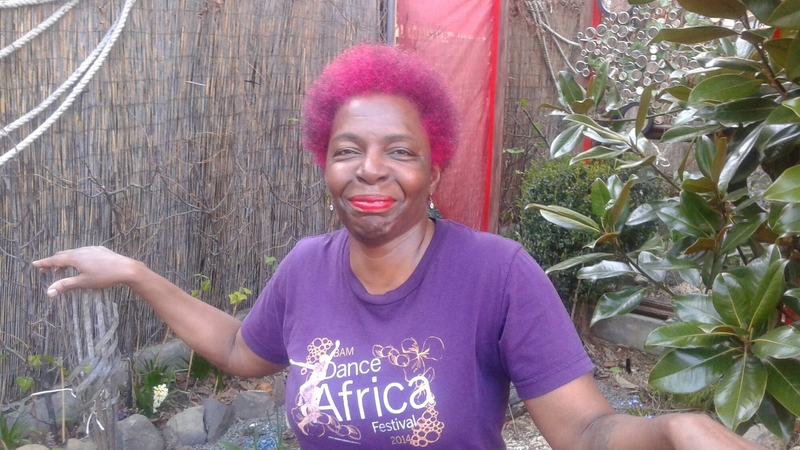 We gathered once again in Prospect Park located in Brooklyn, New York not only to dance and get our groove on but to support Black business and Black Entrepreneurs. Spike Lee was in the House!! Arrival and Let the Fun Begin!! Wobble Baby! Wobble Baby!! Wobble Baby! Wobble!! 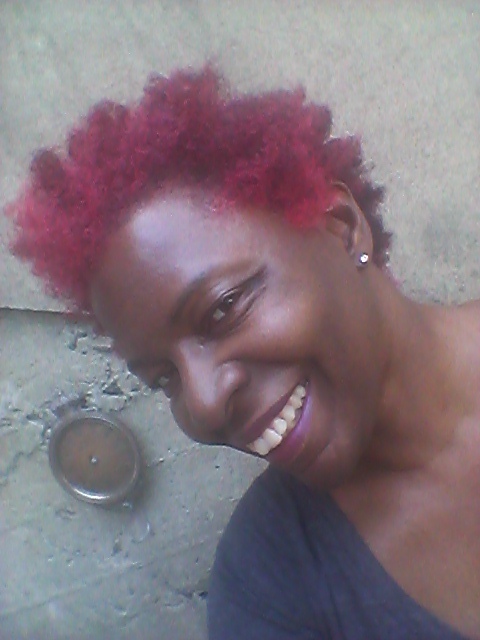 Afro Rojo has no fear of trying different styles!! 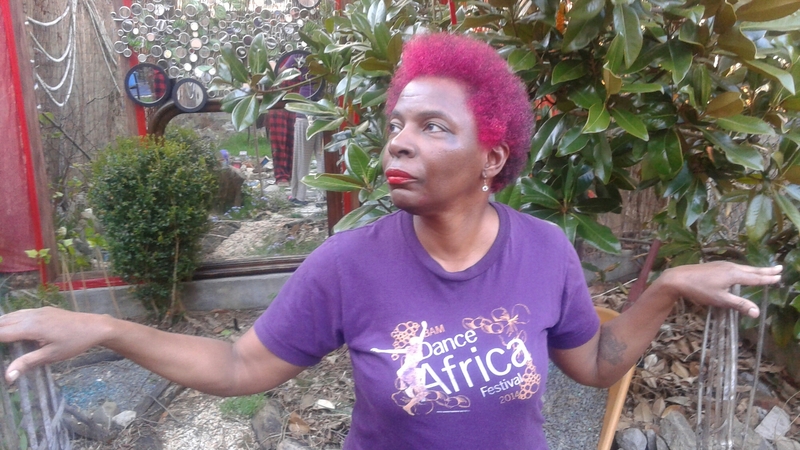 Afro Rojo is the Definition of Style! 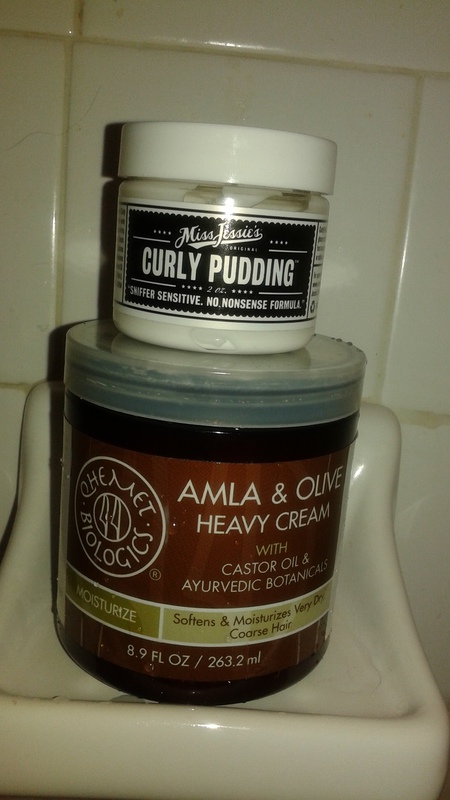 Getting that Coily ‘Fro. I know mine is messy but that’s my style. 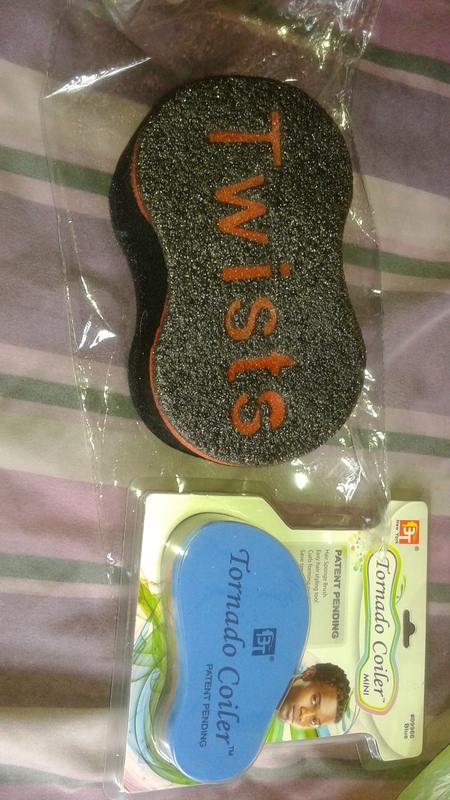 Everybody has their own methods in using the Twist Sponge. I do need to use more product for better results. 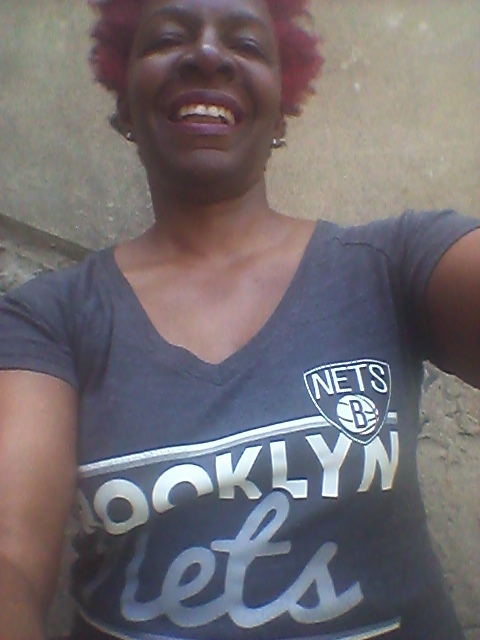 In the meantime I’m Loving my Freedom Coily Curls. 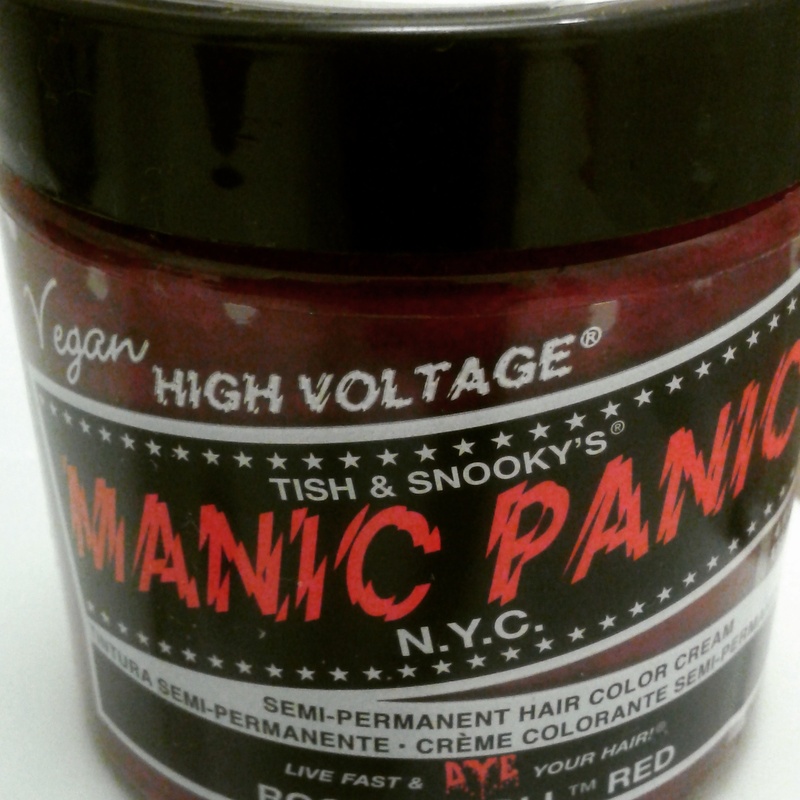 As many of my loyal readers already know I am a big fan of Manic Panic by Tish and Snooky. 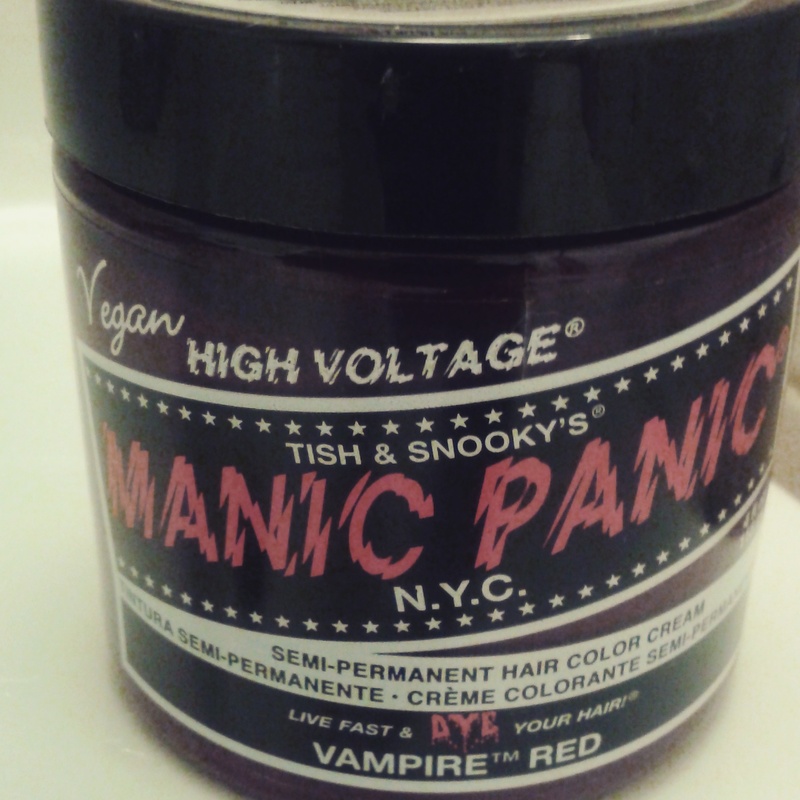 For the past few months I’ve been rocking Manic Panic Vampire Red. 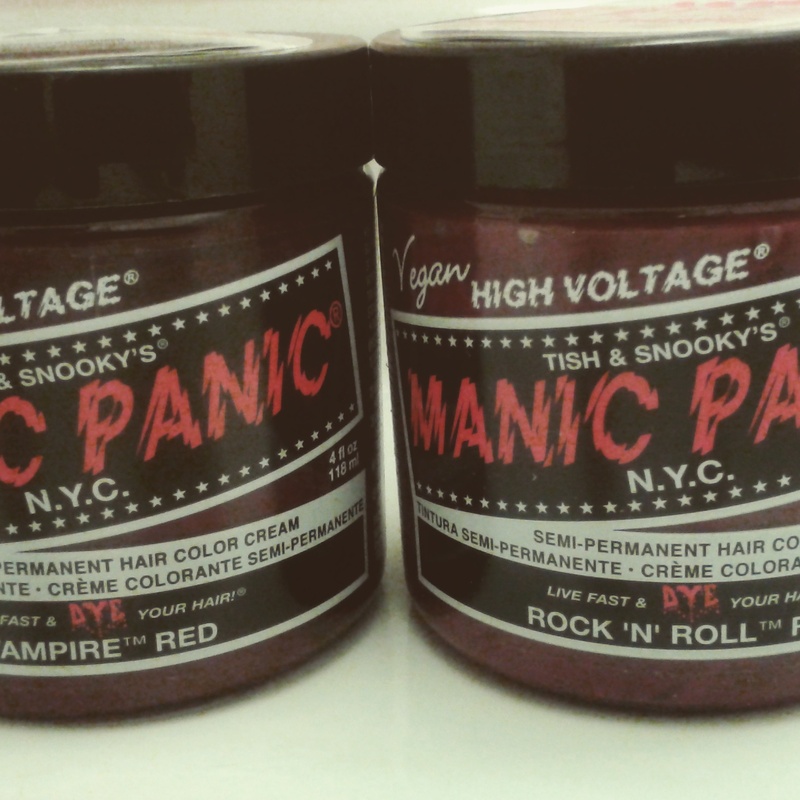 This past week I received an email from Manic Panic telling me of a new shade of Red named Manic Panic Rock ‘ N ‘ Roll Red selling for only $10 dollars. Naturally I ordered one jar and it came in the mail a few days ago. I have applied this new shade of Red combined with the leftovers from the previous one. Simply Red. Fiery Red Empress! High Voltage Duchess! Shazam! 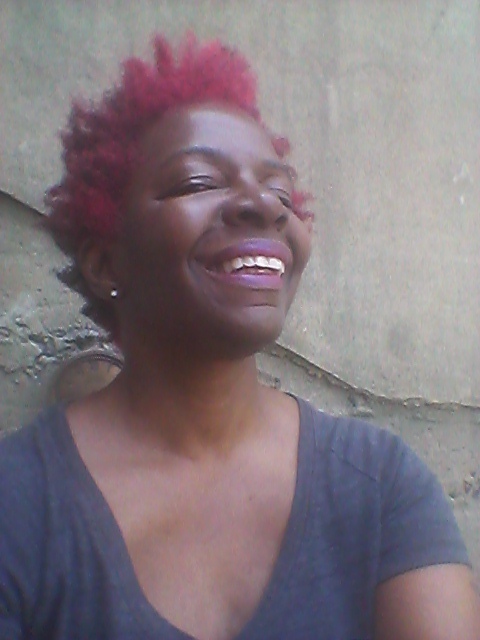 Do you notice any difference in my hair shade or color from Feb/March photo posts? Looking at these pics I do notice my hair has grown since I cut my hair in February. 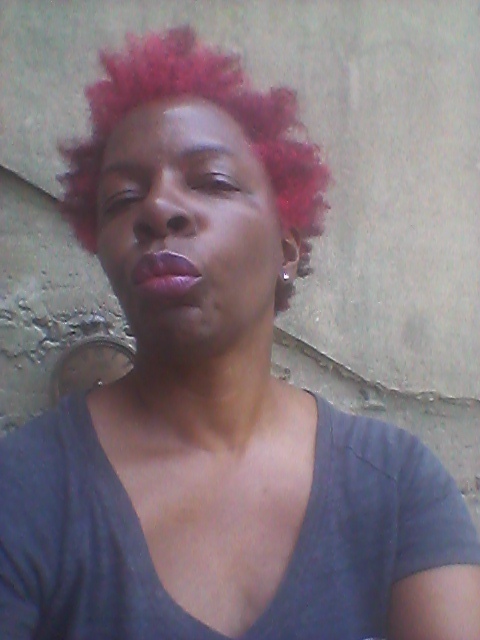 Now I’m just gonna let my Afro extend to the sky even though this will involve getting up close and personal relationship with my blow dryer since my hair tends to snag and tangle. 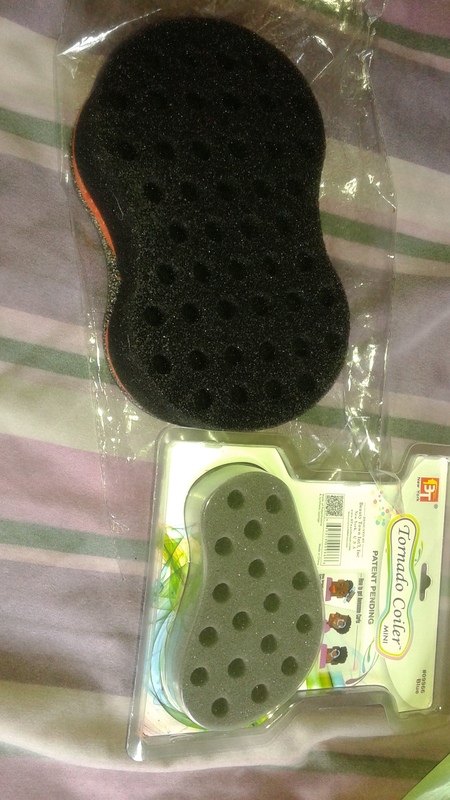 As my hair continues to grow I might invest in the hand held steamer described in the below NappyFu Video. Try to ignore the dark under eye circles. It has been a rough week at work. Not much sleep. I did put some Vitamin E Oil on my face which will hopefully get rid of the eye circles. 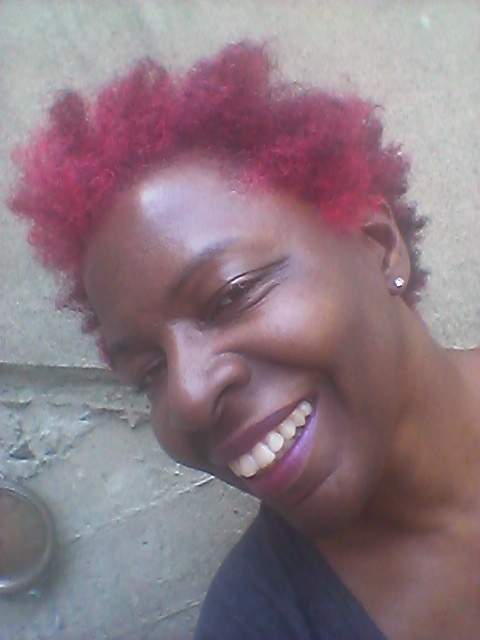 Anyway Please let me know what you think about my New Red Hair Color!! My room-mate told me a joke! I was trying Not to Laugh!